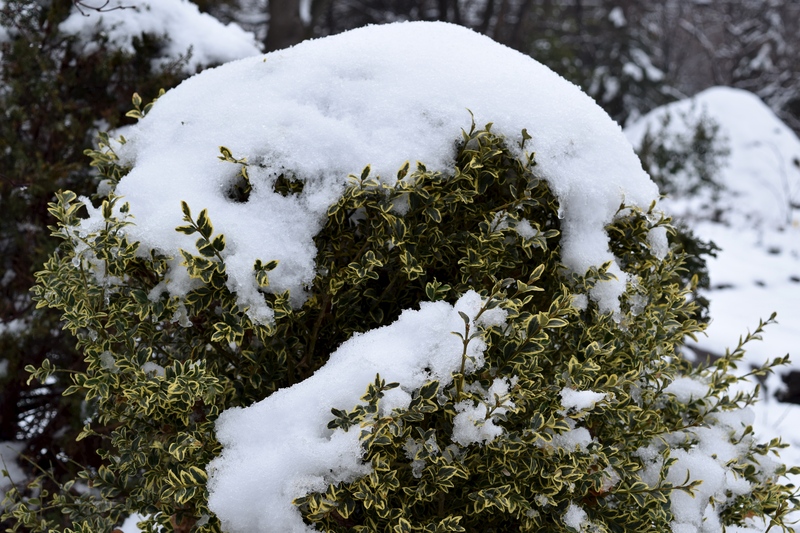 With one heavy wet snow this week and two more larger snowfalls expected, it is time to think of ways to prevent snow damage to your trees and shrubs. 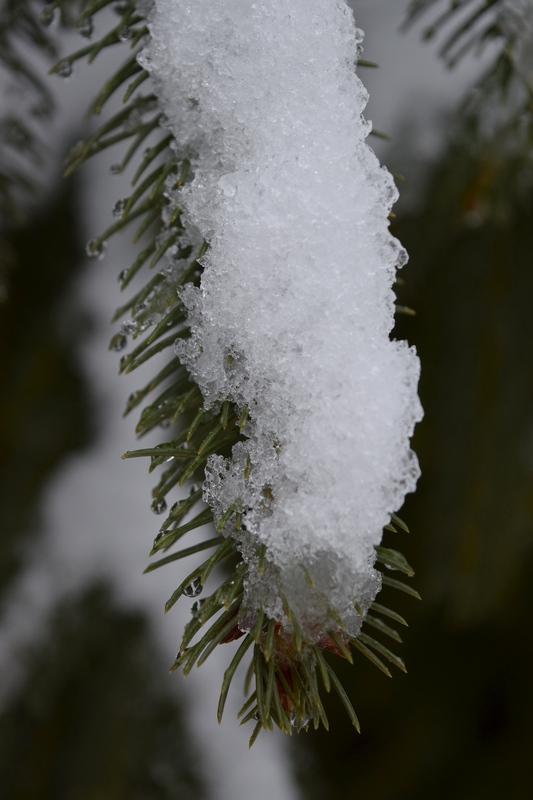 The first way is smart plant choice, and coniferous evergreens with needles are one of the best for a snowy climate. 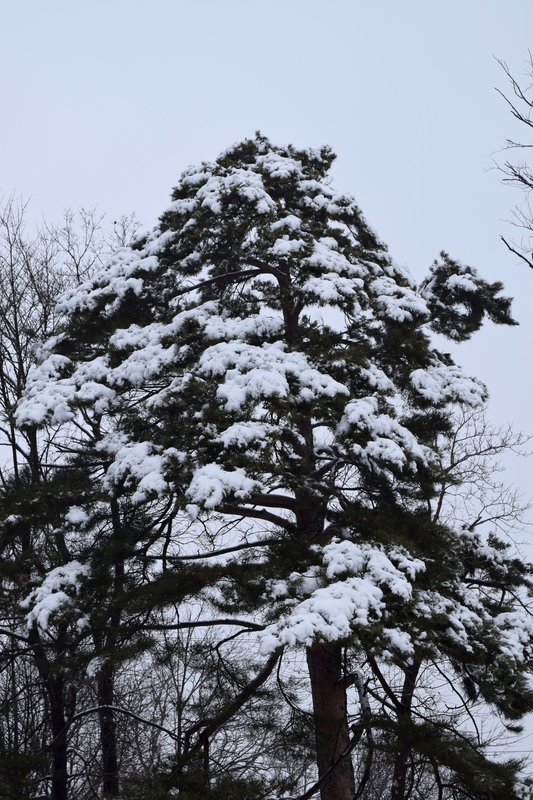 Not only are many of them very cold hardy but their shape sheds snow off their branches. 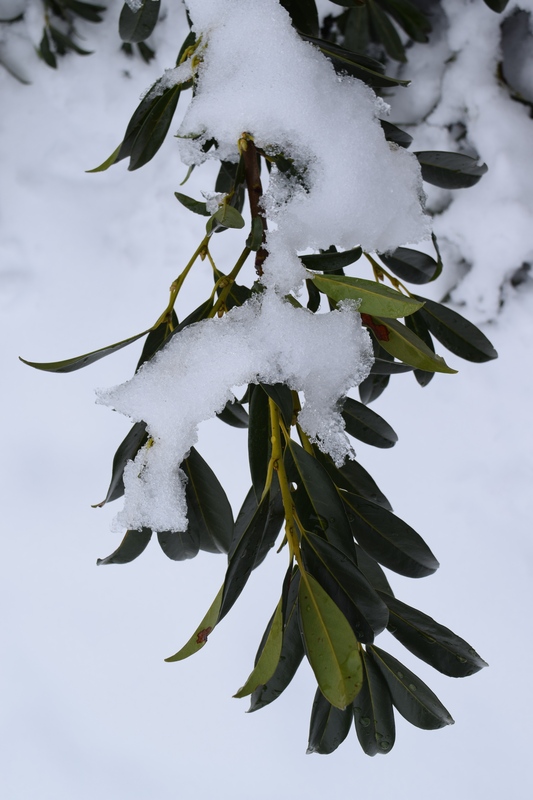 Broad leaved evergreens, such as Cherry Laurel and evergreen hollies, have large surface areas to catch the snow and ice. A technique that we use to keep columnar trees upright is to use biodegradable twine and bind them up to keep the branches from splaying apart. 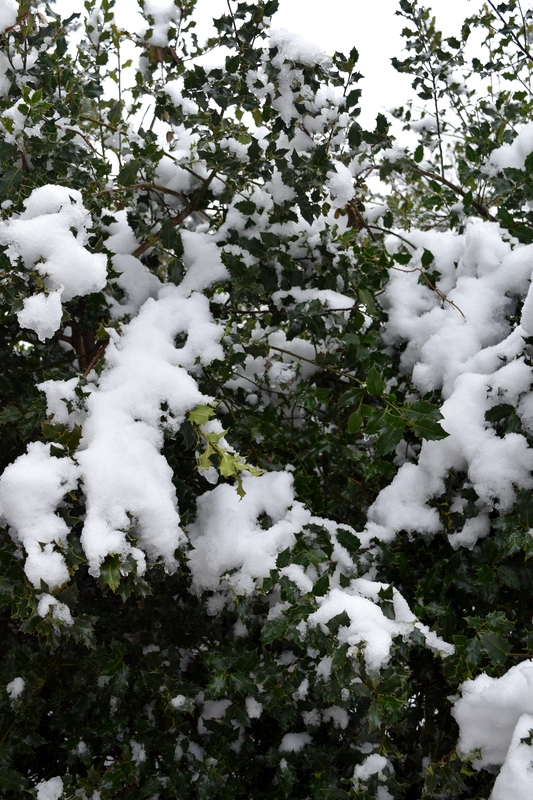 The next technique is sensible pruning to keep the shrubs tight in shape, with hedges pruned slightly wider at the bottom, to shed the snow. 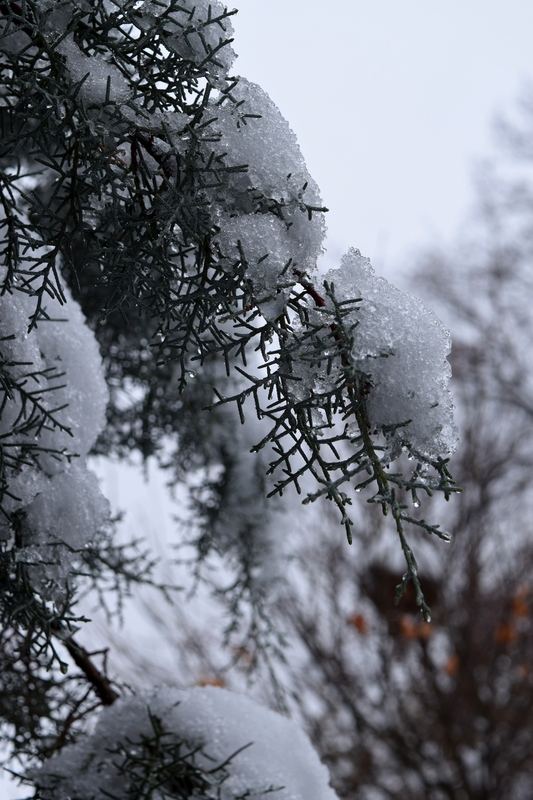 This last heavy wet snow was very clingy, as the temperature was right around freezing. Branches of many plants were bent down to the ground. In most cases, once the snow melts, they will spring back up, but exceptionally heavy snow loads like we had here in Pennsylvania last winter can crack the branch away from the trunk. We have resorted to bolting the branches of some shrubs like witch hazel back together again. It seems to have worked – just don’t look too closely. Today was above freezing, so it allowed me some time to knock snow off some of the bushes that were snow covered; just in time for the next round of snow. 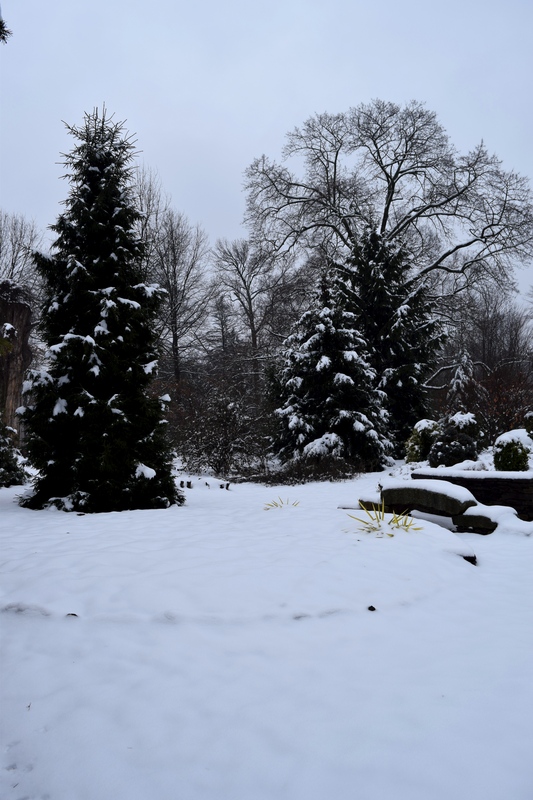 It was lovely to be walking round the snowy garden, but there was a downside – as the snow comes off the bushes it has to go somewhere and today that seemed to be into my boots. Thawing out now.